Rise-and-fall lamps always look really cool and industrial. 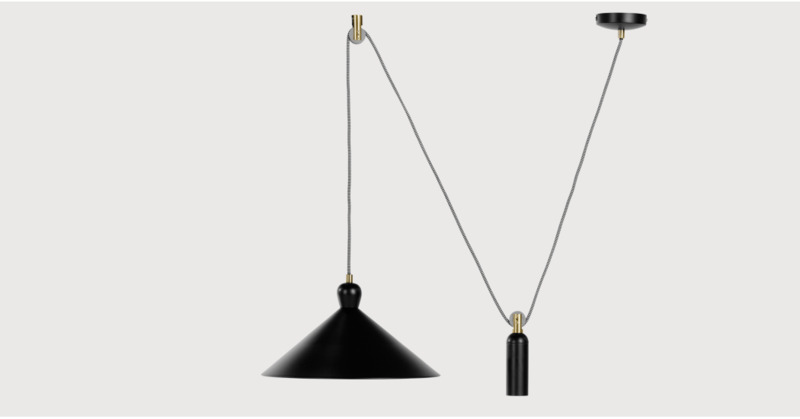 We’ve taken that style for the Ogilvy pendant light. A sleek, practical addition to our Deco Luxe look. If you need a more focused glow, say on the dining table, just pull the shade down. Need to light up the whole room? Pull the weight and the shade will rise back up.